If you’re using WordPress to build and manage your small business website, you’ve made a fantastic decision. WordPress is used by 60 percent of all websites running on a content management system (CMS), making it the most popular CMS platform out there. It’s popularity is in part because it is easy to use and free — the best of both worlds. In addition, as a WordPress user you have access to a library of more than 45,000 free (or inexpensive) plugins that can optimize your website design and content, and integrate with many other popular marketing tools. WordPress can also be used to create landing pages for your website without wasting time and money by asking your technology department or website designer (if you’re lucky enough to have a team that big) to create landing pages. The landing pages you create in WordPress can then be used in conjunction with your marketing automation efforts to host content and promotions, and collect leads to grow your business. It’s best practice to use a specific landing page for every advertising and marketing campaign, so you can track your efforts. For example, you should use a separate landing page for different AdWords campaigns and for every content download you create. On top of that, you can use landing pages to drive customers from an email campaign to your website for additional information. The uses of landing pages are endless and a big part of a smart growth strategy for any size business. 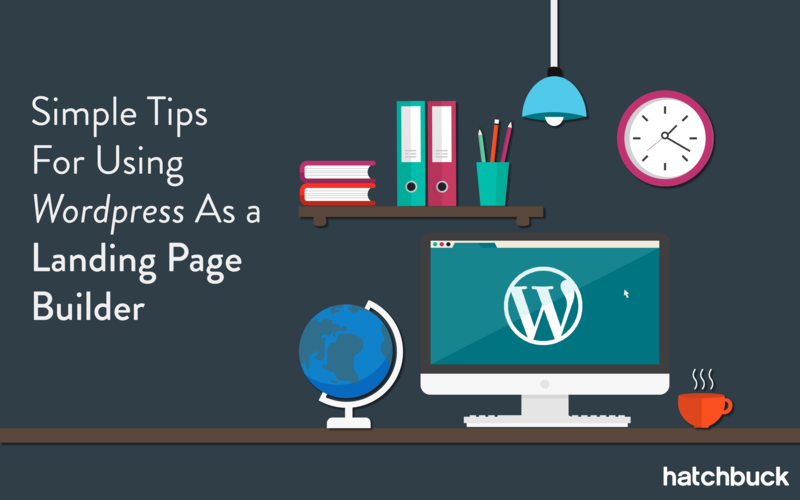 Here are some beginner options on leveraging WordPress as your landing page builder. Most WordPress themes will include a design for a single, full-width page. If you’re just getting started with WordPress and researching a design to use for your website, make sure a full-width page design is part of the theme you choose. We included a list of some recommended themes that include landing page designs below. If you’ve set up WordPress correctly, when you create a new Page in WordPress, this will create the page in a subfolder of your website. For instance, if you create a Contact page in WordPress, the URL should be yourwebsite.com/contact. You can create pages that appear in your website navigation, or are hidden from your navigation. If you’re using landing pages for promotions and advertising, it’s best you don’t include them in your navigation. 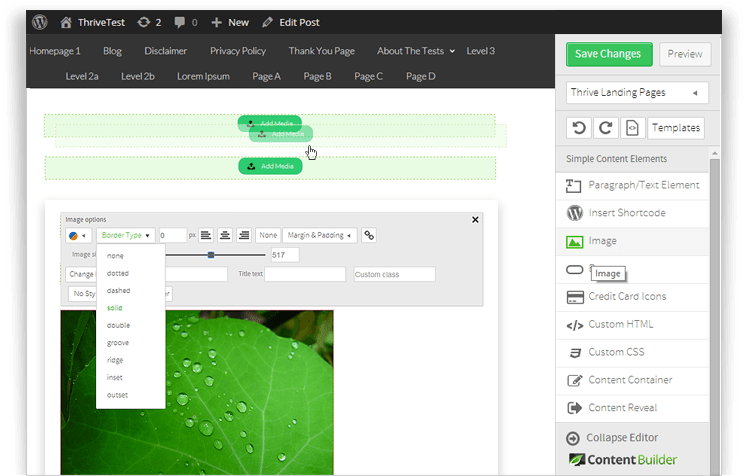 When designing the page, you use the WYSIWYG (what you see is what you get) editor, just like if you’re writing and designing a blog post. You can embed images and embed forms from the marketing automation tool you’re using, such as Hatchbuck. Just create your forms in your marketing automation tool and choose the “embed form” option to drop the code into WordPress, so the form and leads you capture are integrated with your marketing automation platform. If you want to set up a completely separate landing page theme from your website theme, you can use WordPress Multisite, which allows you to set up as many subfolders or subdomains from one WordPress installation and each site can have it’s own theme, plugins and settings. For example, you could create a subdomain called content.yourwebsite.com with a new WordPress installation and separate theme. Then you can custom create that specific theme to have landing pages that are simple and don’t include your site’s entire header and footer. Nowadays, there are a multitude of plugins created to solve the landing page design problem for business owners using WordPress. By installing one (or more!) of these plugins, WordPress will function like many of the popular landing page builders such as Leadpages or Unbounce. These plugins will install landing page builder features within your WordPress dashboard so it’s easy to choose a template; drag and drop landing page widgets; set up a confirmation and thank you page; and integrate your forms and leads with your marketing automation platform. 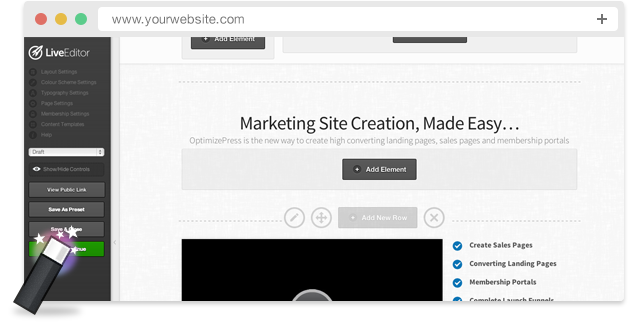 OptimizePress: OptimizePress allows you to create sales and marketing landing pages in addition to other features such as building a membership-only WordPress portal or site. They have 30 templates that are mobile responsive and allow you to quickly add features to your landing pages such as order boxes, testimonial blocks, progress bars, countdown timers, and video and audio players. Thrive Landing Pages: This landing page builder for WordPress has more than 150 landing page templates available, and they also design landing pages, thank you pages and confirmation pages in sets so that they all have a consistent look and feel for your customers. They also do a great job offering themed sets such as an entire set for webinars, podcasts or online courses. Thrive Landing Pages also pays close attention to load time and speed tests so that your landing pages load quickly, which is a major contribution to Google’s organic search algorithm and website scoring. Beaver Builder: This plugin is well-suited for WordPress users who have a bit of know-how when it comes to landing page design. Beaver Builder allows you to build any type of page, and is powerful enough to create great looking landing pages. With flexible drag and drop tools, and pre-made templates, you can whip of a high-converting landing page. It’s highly flexible if you have a vision in mind for your landing page and don’t necessarily need an out-of-the-box template. Landing pages are an incredibly valuable part of your website when executed efficiently, and WordPress is a great option for this execution with minimal effort.